Scarlet Envy is a Kentucky transplant with a uniquely New York sense of style and attitude. Her drag aesthetic is a mixture of high fashion and bargain finds, which explains her titles of "The Cheapest Woman with the Highest Price Tag." As with many younger queens in New York City, she moved in 2010 for school and never left. Scarlet's first time out in full drag was when she competed in the Miss F.I.T. pageant. 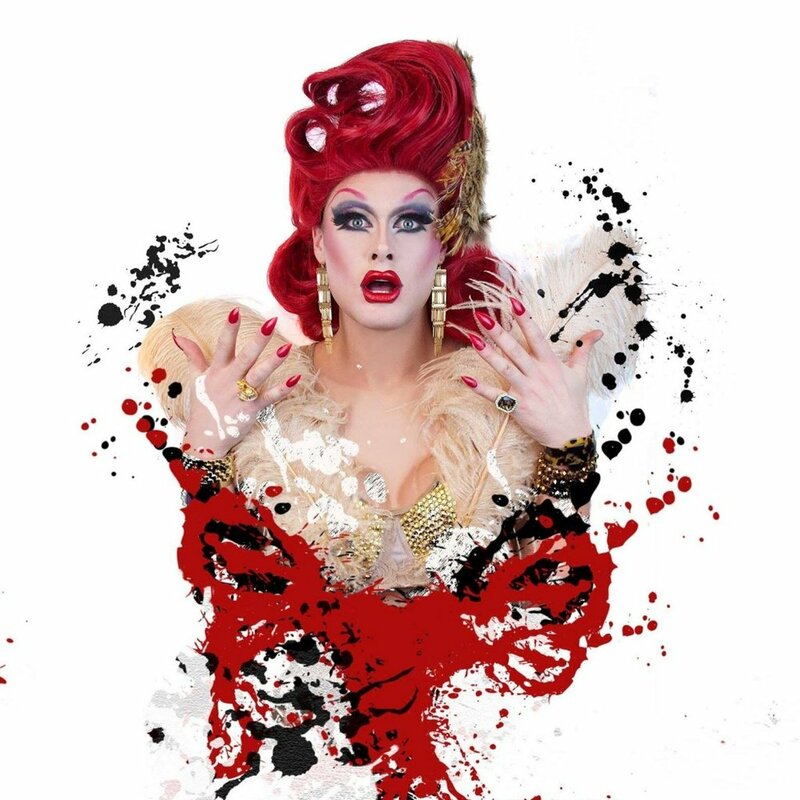 Although she didn't take the crown, she'd been bitten by the drag bug, originally stirred while growing up in Louisville and sneaking out in a tutu and Converse to go to midnight showings of the Rocky Horror Picture Show. She started early and knew exactly how to do it. We can't give away anymore or there would be nothing about Scarlet to learn! Listen to our interview and find out why she is the Envy and Rage of everyone who meets her!